You are buying the Oracle 452 Headgear Fisher & Paykel 400HC300, manufactured by Fisher & Paykel. Fisher & Paykel is a leading manufacturer of CPAP Headgear and accessories. At ADW Diabetes, we offer the complete line of Fisher & Paykel CPAP products with excellent pricing and fast shipping. You are buying the Oracle 452 Headgear Fisher and Paykel 400HC300, manufactured by Fisher and Paykel. 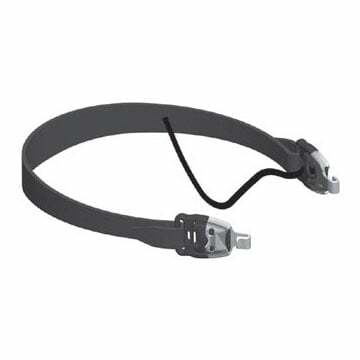 Fisher and Paykel is a leading manufacturer of CPAP Headgear and accessories. At ADW Diabetes, we offer the complete line of Fisher and Paykel CPAP products with excellent pricing and fast shipping. The Oracle HC452 Headgear by Fisher and Paykel is the original replacement headgear for the Oracle HC452 Oral Mask. This headgear is constructed using Breathe-O-Prene, a soft and lightweight material that feels cool to the touch and increases user comfort during CPAP therapy. It increases therapeutic compliance by promoting both functionality and comfort in use.